Did you know you can now order your Deliveroo takeaway from Ice and Slice here on View? 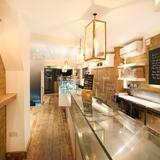 Ice and Slice is a pizza bar and ice cream parlour in Fulham. Pizzas are available whole, by the slice or to order with signature slices including Tartufo, featuring truffles, mushrooms, spinach and grana padano shavings; and Mortadella, featuring Pistachios, mortadella and tomato salsa. 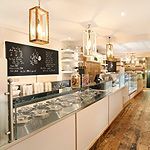 Ice and Slice's Italian gelato is made daily, with no preservatives or additives with flavours including salted caramel, tiramisu and aperol spritz. 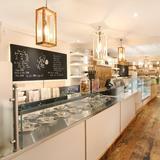 Do you work at Ice and Slice? What did you think of Ice and Slice?